Have you been sidelined by persistent pain? Would you like to revitalize your health naturally? 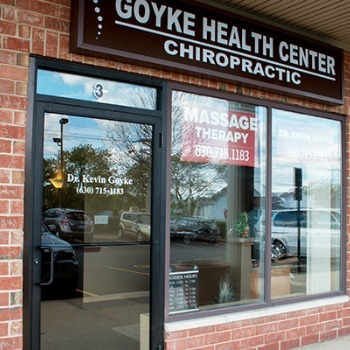 At Goyke Health Center, we want to help you live your best life with safe and effective chiropractic care! Our friendly and caring team will take the time to listen to your health needs and goals and help get you on the path toward optimal wellness! Take advantage of our $49 New Patient Special – Call (630) 715-1183 now! Caring and approachable, Dr. Goyke provides noninvasive treatments that are tailored to your individual needs to manage pain and increase your mobility. We want to help you recover and get back on the road to healthy living. Our gentle touch gives you rapid results in a warm, tranquil setting that puts you right at ease. We offer same day appointments, accept insurance, are open late and have Saturday appointments available. 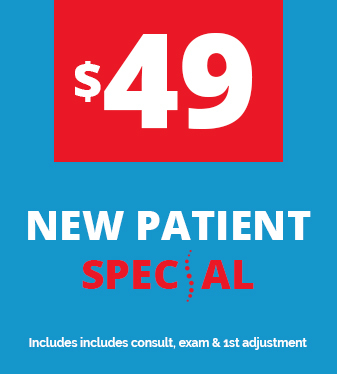 Take advantage of our $49 New Patient Special – Call (630) 715-1183 or book an appointment online now! We’ll take all the time necessary to address your concerns. Dr. Goyke goes above and beyond your expectations and makes sure you know that we’re always here for you. We’ve even visited patients’ homes to provide care when they weren’t able to leave the house. Your entire family can be seen at Goyke Health Center, in our brand-new, state-of-the-art facility. Call us at (630) 715-1183 now!